David Packwood is an art historian based in the UK. 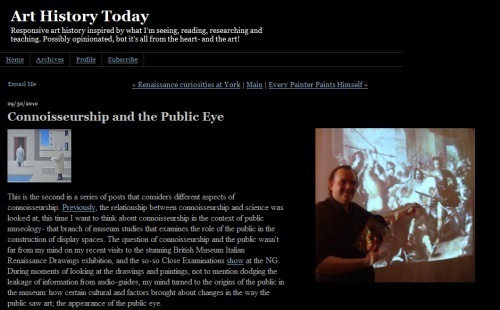 His blog, Art History Today is truly unique, appealing to a diverse audience. It also occupies a space that transcends the exploration of art and history, acting as a voice for a profession struggling to adapt to the immense changes occurring in the humanities worldwide. The greater issues affecting funding, connoisseurship and attributions are themes which David takes to with meticulous precision. It is also delightful to note David believes in art history discussion as relevant and exciting for the broader community. Its traditional pursuit in elitist cliques and exclusive schools are perhaps what has led to the current funding woes in the UK in particular. He recently used the phrase "online enlightenment project" to describe the efforts of the humanities to embrace web content delivery, including in a teaching role. I believe this is an amazing and apt description, as the Enlightenment scientists that brought science to the fore were predominately independent individuals, quite often working outside of formal learning institutions, and eventually working in collaboration with them. The humanities seems to be going through a similar, monumental paradigm shift - and I am glad that leading academics such as David are ready to face the challenges that are surely ahead. 3PP: My earliest recollection of Renaissance art was a replica antique telephone my mum received as a gift. It had a picture of the Mona Lisa in the dialing circle! Can you recall an early formative art experience? DP: It’s probably lost in the mists of childhood! It might surprise you, but initially it was books and music in my formative years. My sense of the power of art was awakened much later. I grew up near a museum that had an impressive number of Pre-Raphaelites- but they never did anything for me. 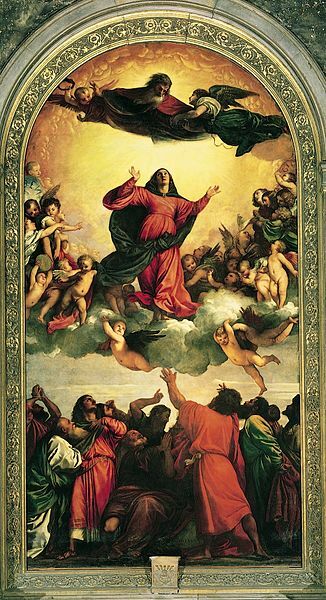 I definitely recall Titian’s Assunta the first time I went to Venice in the 1980s; the power of art to fill the spirit with hope and the eyes with beauty. 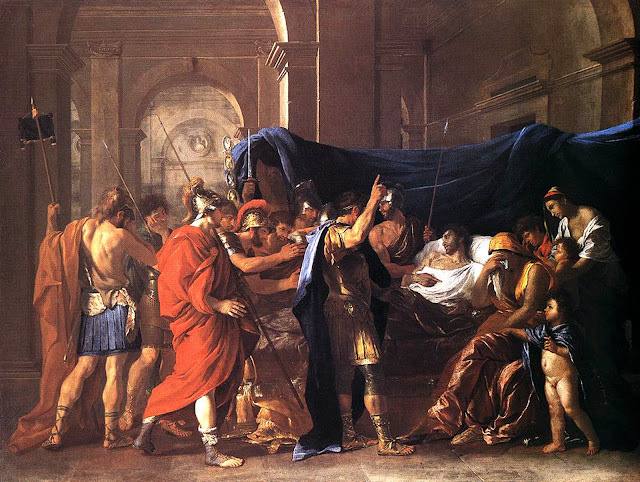 That visit coincided with a change of direction in my life, but perhaps the most important formative encounter with art was the Poussin exhibition in London in 1994: I see myself in my mind’s eye looking at Poussin’s Death of Germanicus at the Royal Academy. That led to enrolling on a PhD and a slow evolution towards where I am now. 3PP: How did Art History Today(AHT) originate? Was it a personal project or something linked to your work with students? I’m required to write and publish off-line. On the blog I can write about other stuff…modern art, connoisseurship, art politics, art on T.V. etc in a fairly relaxed way. As AHT has evolved, many of the posts seem to be linked to my teaching, museum visits and the state of art history in general rather than research topics which I’ve been disseminating through traditional outlets like journals, books and conferences. 3PP: Your blog stands apart from others exploring art history. Between the scholarly contemplation of art, you make forays into the impact of policy makers affecting museums and universities. How are the humanities presently faring on the UK political and educational landscape? DP: You must have heard about the Browne Report and its devastating implications for H.E. in this country? For those who haven’t, this document recommends state funding only for STEM (Science, Technology, Engineering, and Maths) subjects with the humanities completely dependent on the free market. At the risk of getting political about this – but how can one not- we’re suffering because of a concerted attack on public spending by the current Con-Dem government- a continuation of a project begun in the years of Margaret Thatcher. I was recently reading a book on English culture that alluded to a text that the education minister Keith Josephs prescribed to Thatcher’s cabinet in the early 1980s - Martin Weiner’s English Culture and the Decline of the Industrial Spirit 1850-1980. It basically argues that from the 19th century, with the aristocraticising of culture, the UK took an anti-entrepreneurial turn resulting in indifference to commerce and wealth creation. I read somewhere that Browne was ridiculed by some humanities don, as a future captain of industry while at university, and students might be literally paying the price for that taunt. Supposedly, we artists (and art historians) want a William Morris socialist utopia where the arts are central to daily existence but unconcerned with commerce. There have been recent attempts to demonstrate the commercial viability of the arts, including art history- Sir Adam Robert’s point about the financial success of the V&A's At Home in Renaissance Italy exhibition, but it seems to be falling on deaf ears. The Con-Dems are philistines through and through. 3PP: Is the study of art history in UK universities organised with regards to career mapping, or is this reserved for post graduate studies, if at all? DP: I think that UK universities have realised that career awareness, and all that entails needs to be integrated into post-graduate programmes, not just the undergraduate degree. Previously, there was more emphasis on career planning in the undergraduate phase: at that time all the student’s options are open; they have time to think about future choices. When I was doing my doctorate at a provincial university, I got zero help on career development. I was told to concentrate on getting the PhD, and worry about the career path afterwards. Then, the department suddenly changed tack and shunted us onto courses like’ writing for publication’ etc, in response to growing concerns about their PhDs not landing jobs. I think that was part of a general change of attitude across the country and it marked a different outlook on the PhD programme. It certainly affected me: from that point onwards I got assigned to a better supervisor, got my work read more than once a year, although the careers issue still remained in the background. All this is about to be shaken up further since undergraduates may have to pay –unless the student protest is successful- as much as £9,000 or more p.a. and I think that will have a knock-on effect with post-graduates, though it’s unclear just what the Browne report means for them. If they have to find more money themselves as funding dries up, then postgraduates are going to get equally demanding and ask for supervision geared not only towards academic attainment but also career fulfilment. 3PP: (via reader Heidenkind) What do you think a world-class doctoral program for art history will look like in the 21st century? *A broad spectrum of topics and research methodologies to attract a wide range of students. *A climate sympathetic to both traditional and innovative research methods. *A philosophy that integrates the research into the wider context of career aspiration and the job market. *A PhD programme that is mindful of the needs of students today. 3PP: What do you see are the greatest challenges for the formal study of art history? DP: If I’d got this interview back to you before the Browne Report, I’d have said things like the challenge of working across disciplines, re-defining art history in a changing world etc, but at this very moment our greatest challenge, not to say threat, is how to survive in the post-apocalypse of the Browne report! It’s going to become increasingly difficult to attract funding for art history projects and teaching in the U.K.
My real fear is that certain subjects in art history might be perceived as “irrelevant” or having no impact on society, and consequently they won’t be funded or patronised, either at teaching or research level, so we’ll have art history determined by the vagaries of the market- that would be disastrous for the discipline as a whole. 3PP: I have read you cite a 19th Century definition of connoisseurship. Do you agree with this definition in a 21st century context? DP: I think you mean Charles Lock Eastlake, the first Director of the London National Gallery. Of course there’s a great difference between the canonical, scientific connoisseurship that Eastlake pioneered and the way curators work today, but, interestingly, there are similarities with connoisseurship today too. I think Eastlake shared something of the modern “Blink” approach when he appraised pictures. He would take in a whole room of pictures in a minute, bow stiffly and exit leaving the owner unsure if the NG wanted any of the pictures! Though it might seem hard to credit, in that minute Eastlake had assessed which paintings might be purchased or not. And his travelling agent Otto Mndler’s notes on pictures are byte-sized assessments, sometimes only 2 or 3 sentences, stunning in their perception. They were designed to furnish Eastlake with the salient facts when he visited a collection. Eastlake and Mündler were working when catalogues of art history were in their infancy, so there often wasn’t the data to check their blink-like assessments against. You’d think that in the 21st century where there’s a glut of catalogues and information, experts would thoroughly research before judging attribution and that the blink approach wouldn’t be used at all. But I’m convinced that more and more curators and scholars rely on snap judgements first, and then back it up with volumes of analysis and consensus after they’ve acquired the picture or made the attribution. 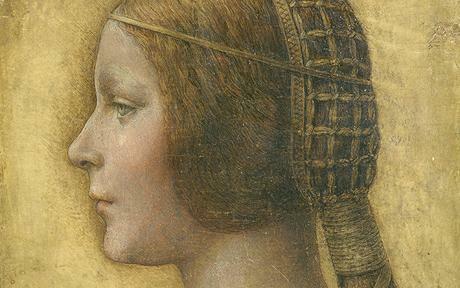 The Met’s acquisition of a 'Duccio' in 2004 on the basis of a photograph and no documentation is a good example of that. I guess these days there’s a lot of pressure on curators to succeed, so decisions are made rapidly, but at what cost to the artist’s reputation and the image of connoisseurship in the field? 3PP: Can you describe your interest in French artist Nicolas Poussin? DP: I started off liking his paintings for their iconographical complexity, but there’s much more to his art than that. I admire his commitment. He came from a peasant background in Normandy, was apprenticed to a mediocre provincial painter Quentin Varin, but had the determination to get to Rome and the myriad opportunities awaiting him there. In the eternal city he encountered an overwhelming welter of styles; but out of that he forged a distinctive art that attracted sympathetic patrons. He was highly disciplined, lucid in his aims- and he never gave up. The Poussin that Anthony Blunt bequeathed to the world- the remote peintre-philosophe conjuring up esoteric knowledge- doesn’t gel with me. My Poussin has more to do with today’s world and problems: the struggle for innovation in a world hostile to new thinking; the search for a place in an art market where supply outstrips demand; the need to keep faith in one’s own abilities under pressure. Poussin studies is a very difficult field to work in- take my word for it! To sum up, I admire Poussin for the following: his lucidity of method and purpose; his adaptability and perseverance; and his dedication to the highest aims in his painting. 3PP: Did Poussin really despise Caravaggio as much as we are led to believe? DP: As this statement was made by Andre Félibien, a friend of Poussin, there’s probably a grain of truth in it. Looking at Poussin’s art and reading his thoughts on painting, it’s obvious that he had different aesthetic views to Caravaggio. At the same time, I wouldn’t completely rule Caravaggio out when considering Poussin’s oeuvre. 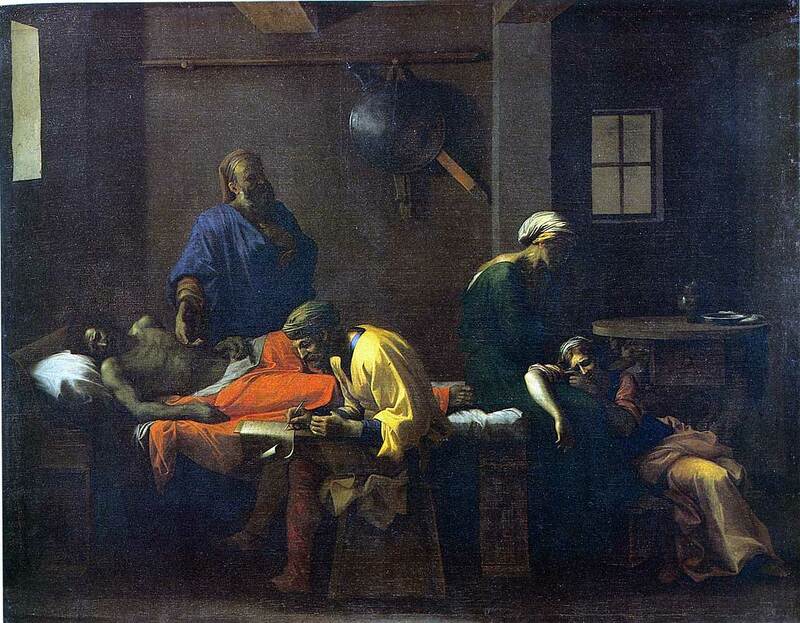 In 1966, the veteran Poussiniste Walter Friedlaender described Poussin’s Testament of Eudamidas as “almost Caravaggesque.” He was getting at the way light comes in from a high window into a boxlike space, like in many of Caravaggio’s paintings, almost like beams penetrating the gloom of a tomb. 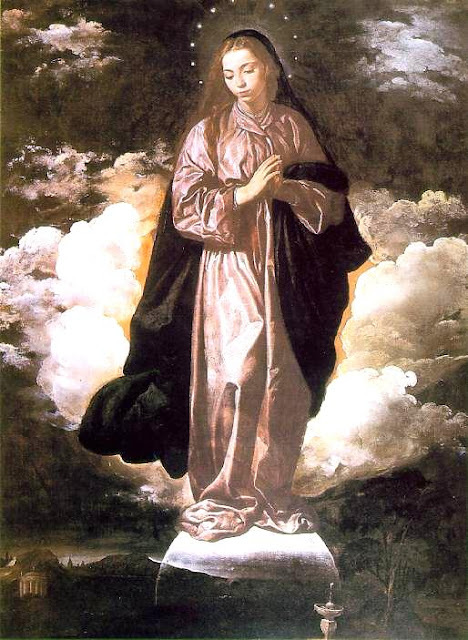 Poussin scholar and French theorist Louis Marin went on, in a book called , appropriately enough, To Destroy Painting(1994), to say interesting things about tombs and representation in both Poussin and Caravaggio. This line of enquiry has never adequately been pursued in the literature on Poussin, which is a pity. 3PP: Is art history adequately adapting to encompass the media and format diverse content of the 21st Century? DP: Yes and no. There’s no doubt that new media and technology are changing the way that art historians engage with the image- but this seems mainly confined to museums and their web sites. It seems to me that museums are ideally placed to exploit the web because the gallery can be turned into the virtual webpage, and that web skills nicely complement those of the museum professional, cataloguing, archiving etc. The bigger question is how art history communities can be created by the web, including social networking, the blogosphere, YouTube etc, and those, outside traditional structures. One of the problems here is that art history has not emerged from a tradition of public discourse or social communication like other disciplines- and does not fit comfortably into that social networking framework. There are sociology and history professors, quite eminent, who blog as if their lives depended on it- perhaps they do- but art historians by and large tend to steer clear which is an issue that has been emerging in these interviews. I think the concept of a public intellectual never emerged from art history- the nearest we have are T.V. art critics, intelligent but not academic. Another important debate which we’re not really having is how new formats and technologies can be used to expedite publications and research, especially for emerging and younger scholars. This is a very conservative discipline and ideas are absorbed and disseminated slowly, which is not helpful if you’re trying to build a career. I’m currently hearing from some humanities professors that we should get even slower, think slower, work slower. I’m not so sure this is a good thing. What we need is to change temporality in art history research and publishing; accelerate our research findings and close the gap between writing and publishing. Less evolutionary lines of scholarship stretching back into the past; more speeding forward with the on-rush. I’ve got something coming out next year which will go straight to the web- a publication schedule of one year as compared to 3 years or more for a few print publications that I have in the pipeline. I really wish those at the forefront of the field would actively tackle this problem, and think more about how web technology including blogs, wikis, videos etc could not only be absorbed into our research culture but help us accelerate our scholarly production. I’m learning about the web’s potential all the time. 3PP: As an amateur art+history blogger, I find myself continuously delighted at how kind and helpful professional art historians, authors and classicists have been towards my efforts at 3PP. What advice can you give to us who study and write about art for the love of it alone? DP: Keep going! Art history- on or offline- doesn’t have to be practised by professional scholars. It’s for everybody, whatever their level of knowledge or expertise. I think your blog is admirable the way it combines information and accessibility in a beautifully designed package. I learn a lot about writing for audiences from reading blogs maintained by amateur art historians and enthusiasts, not tenured art historians who don’t write for a broad audience out on the web. It's appropriate that you put my question to David, because I actually started thinking about it after a reading a post on Art History Today. I think it's interesting David sites programs with a broad range of specialization as one of his wish list items for a world-class PhD program--in the US we seem to be developing a trend of extremely focused art history PhD programs, where the program essentially hangs its reputation on one "star" scholar. On one hand, I can see the benefits of such a set-up--it allows smaller schools to have art history PhD programs, and by the time you start your PhD you should already have an idea of what you want to specialize in anyway. On the other hand, I think there is something lost when you don't have a wider range of students and faculty to bounce ideas off of. H. What can I say? You've turned the interview into a work of art! I think I might nab that composite of me teaching and the blog for AHT if I can work out how to put it at the top. Heidenkind. I thought this was an excellent question to ask- and I found it v difficult to answer. You're right about the specialization issue. What I'm suggesting here is a bit utopian especially in the current economic climate. Every institution has to play to its strengths, and its not always possible to accommodate a broad range of topics. If the Browne Report bites over here then we may follow the US model and become more narrowly focused with our Phd provision. I would rather departments chose the specialized approach voluntarily rather than having it imposed on them as a result of market orthodoxy or ideology though. What a great interview! It was especially interesting for me to read about the state of the arts (and graduate programs) in the UK. David was definitely lucky to have such a change in attitude towards his PhD program - I think it's important for students to be prepared for their careers. And I loved the Poussin/Caravaggio discussion! I've read a lot by Friedlaender, but I was not familiar with his discussion of Poussin. Like David, I also wouldn't rule out Caravaggio when looking at Poussin's oeuvre. Even if Poussin didn't like Caravaggio too much, I think he couldn't help but be influenced by the popular Italian artist. Cheers for the comments Heidenkind and M! 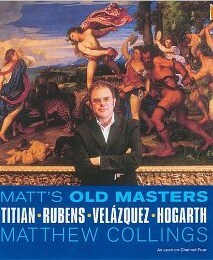 @M - interesting that Poussin keeps coming up in Caravaggio discussion. A recent NGA Washington Podcast featured Michael Fried talking about the Caravaggisti, and veered into Poussin on a few occasions. I listened to Fried's lecture. Interesting, but I can't really believe that semi-educated painters like Valentin were reading Descartes, or thinking about the mind body problem. I would be interested in learning how Fried uses the 'destroy painting' concept, in the same way as Louis Marin, or differently. I don't fancy reading Fried's book though. Thank you for offering your insights into Fried's views David! I must admit I'm relieved I am discovering others that are not entirely convinced by Fried's arguments. I think his credentials and vocabulary lead to a blind acceptance of some of what he is spouting - which is not healthy. Regardless of whether people agree, progress comes through debate and conversation and despite Fried's stated interest in the dialectical approach - I haven't come across too many people publicly disagreeing with him to make his statements on this valid! Maybe you art historians are too polite!? In any event, I spent an hour with Fried's Caravaggio book in Florence earlier this year and I wouldn't wish it on my worst enemy! I think Fried is afflicted with what I like to describe as 'Tolkienitis' - namely an academic with some fabulous ideas but a writing style that is so laboured it makes reading and discussing them a chore. From his book,and the podcast I also dont buy his views on absorption - unless I've become lost in his myriad words - the depiction of the human experience present in all art is absorptive in its own right. It did not require Caravaggio's deep focus and tenebristic lighting effects to bring this to the fore in art - it was a natural progression from the Renaissance and Baroque art movements that were heavily influenced by sculpture. For those interested in Fried's views on the dialectic - another recent NGA Audio podcast discusses his views on that, Modernism and Photography. The following is a direct mp3 link. What a great interview and conversation after. I'm afraid quite a bit of it is over my head since I am neither an art historian or a traditional scholar. But it heartens me to hear the support for your blog and for those of us who pursue the arts just for the "love of it." An exceptionally beautiful layout too. Thanks for the feedback Vicky! I know this interview was a bit more art history and education centric.